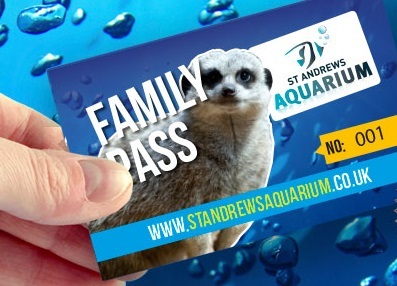 St Andrews Aquarium wants you to have a fabulous day out - that's why we give every customer an all day entry pass. That means you can use the aquarium as your base for the day, popping in and out to see the demonstrations, or for lunch, entirely at your own convenience. 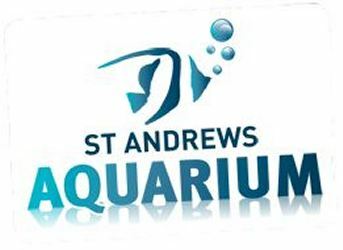 Unfortunately, in the interests of animal welfare, we are unable to allow assistance dogs near the animal displays in the Aquarium. The layouts of our enclosures are such that the animals are in places very close to public areas. This means that assistance dogs, even though very well behaved, can cause considerable stress to our animals. Registered assistance dogs are very welcome in our public reception, Café and gift shop areas as well as the public toilets (please be aware that the café, gift shop and toilets are all accessed by stairs). Please be aware that this is not a decision that has been taken lightly, but it is something that we are duty bound to enforce. Unfortunately, we don't have a kennel facility on site at the moment. Please note a blue badge, doctors letter or DLA letter will be required to be presented upon entry. 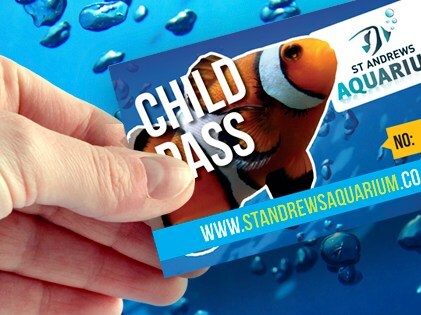 Full wheelchair access is available to just over 50% of the building which includes access to lower level displays, the Amazonian exhibits, the Native Marine exhibits, the Seal Pool, disabled toilets, reception area and full access to our Steprock Cafe. Assisted access (via temporary wheel ramps) is available to access a further 25% of the building which includes the meerkat enclosure and the shark tank. There is now wheelchair access to the marine tropical displays and to the Aquarium's gift shop via the external ramp accessible from the reception area.